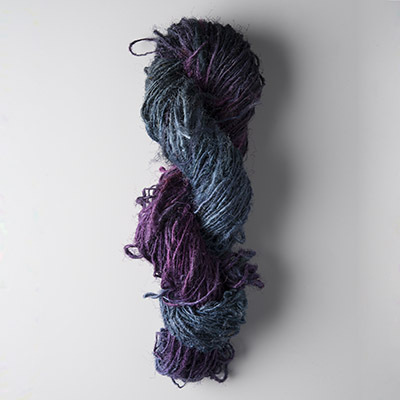 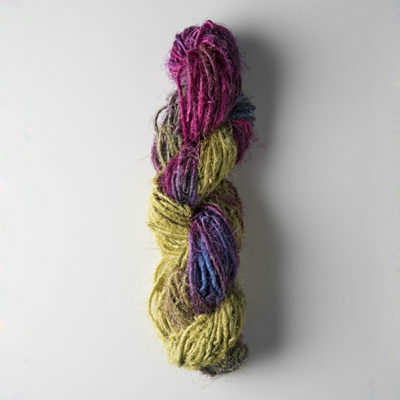 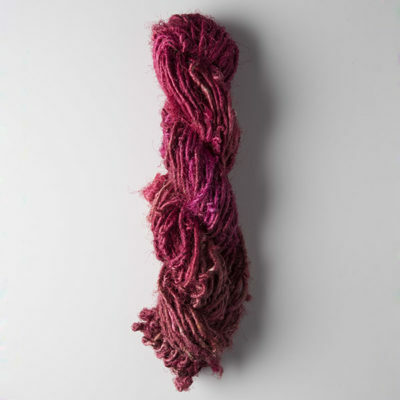 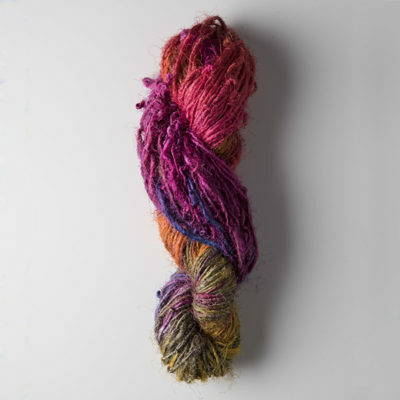 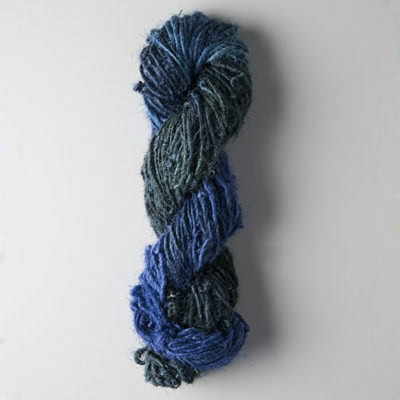 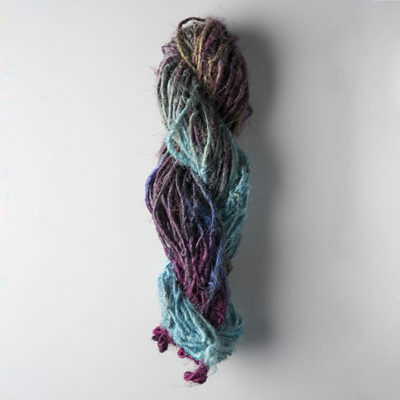 ‘Recycled Sari Silk yarn is made up of waste silk pieces from industrial weaving mills in India and Hand spun in Nepal to give women there a chance to earn their bread and butter independently. 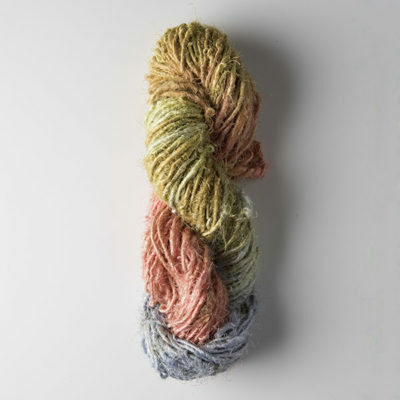 This then hand dyed by Anna Francis in a range of colours. 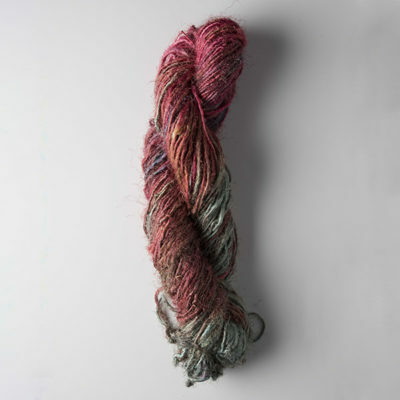 Weight :Typically 100 g, but may does vary a bit.